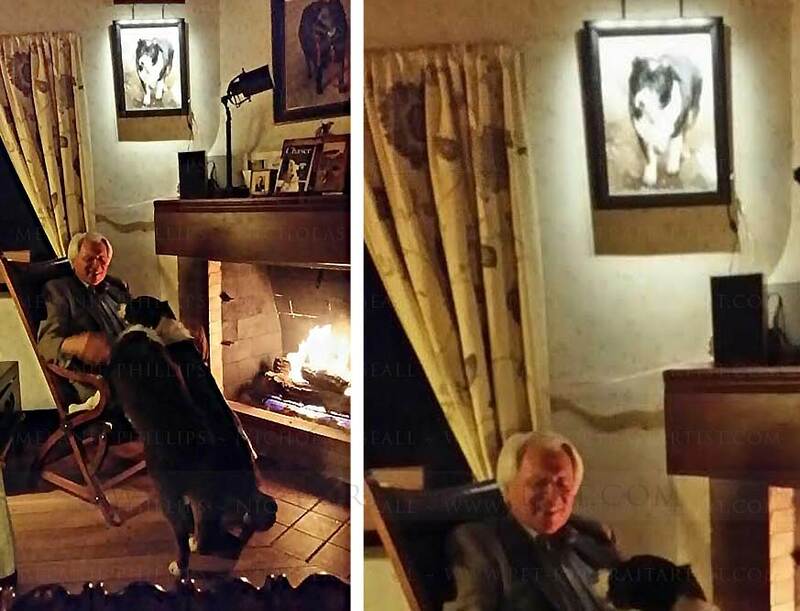 Luna's pet portrait was commissioned by John and you can see a wonderful photo of the portrait in Johns home below. His other collies were veryb impressed with the painting too! I apologize for the quality of the photograph, but it does show how Luna's portait is siutated in my bedroom, where I can see it each morning as I awake. It is illuminated by a set of Revelite LEDs which in normal vision renders her portrait in vivid color and depth, but isn't well captured by the camera. I am petting Lunita, who is Luna's daughter and Pincho, my 6 month old Aussie puppy. Hope eventually to do their portraits too.